Startup Weekend EDU SD = 54-hour hackathon where educators, students, developers, designers, and entrepreneurs come together to share ideas, form teams and launch startups that focus on education. Have you ever had an idea for improving education? Here’s your opportunity to transform your education ideas into action in 54 hours. Find the right people with the complementary skills & passion to build an education product in one weekend. Design for learning, conduct user tests, receive coaching from experienced education designers & industry professionals and win prizes that will help take your idea to the next level! Friday night: 60-second pitches that result in the formation of small teams around the best, most viable education concepts. Educators validate ideas, then all attendees vote. We hope you’ll pitch, but definitely not required! Saturday and Sunday: Work days! Teams focus on user research, customer development, validating their ideas and building prototypes with the help of experienced coaches from the education and entrepreneurial world. You’re welcome to stay and work as long as the venue will allow! Sunday evening: Teams demo their education products and receive valuable feedback from a panel of expert judges. Winning teams take home a grab bag of great tools to help launch their company! + MathChat is a mobile collaboration tool for students to get instant math homework help from friends. + Fantasy GeoPolitics is a fantasy football-like game for social studies and literacy standards. + Fun swag from Google, .Co and more! + More prizes to come! All of the pitches on Friday and companies demoed on Sunday will be educator approved and designed to solve problems in the education space, broadly defined (not restricted to K-12 or other “formal” education). Any business ideas to improve education are eligible, however the event is strongly tech-oriented. Approximately 95% of all ideas are mobile or web focused, and given the short time-frame, we strongly recommend that even non-tech ideas focus on a tech-related deliverable (i.e., website) by Sunday. Participants will demo their products and business models on Sunday night. 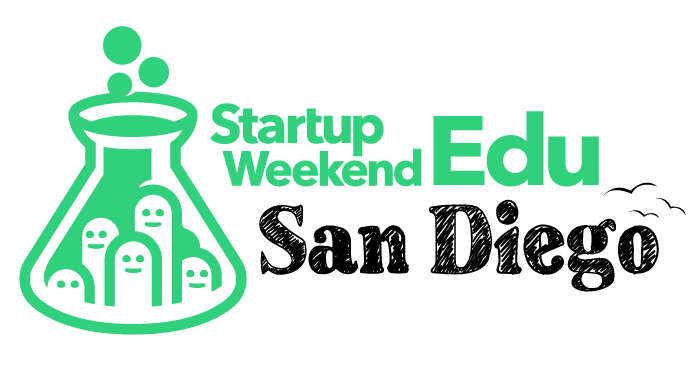 Here is the judging criteria for Startup Weekend Education. Buy your ticket on Eventbrite here. Can this idea make money? Is there positive customer growth or revenue? Is there a customer acquisition / rollout strategy? Has a revenue model been defined and is it realistic? How well does this idea address a real, significant problems in education and learning? How is it based off of sound literature, research, and feedback? What evidence is there that the product or service will have the impact that it claims?